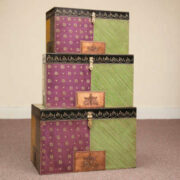 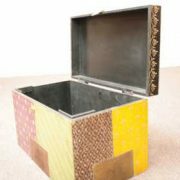 An extraordinary large trunk/coffee table on wheels originates from Rajasthan. 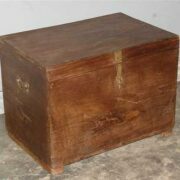 A wonderful piece of furniture evoking history and use. 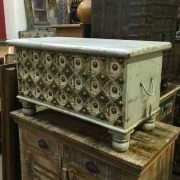 Made from Indian hardwood with some metal banding to provide further strength, the trunk shows some remnants of old yellow paint to it’s base. 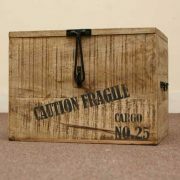 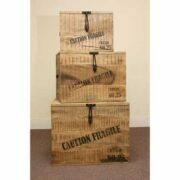 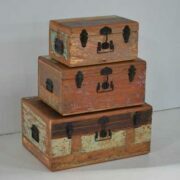 Seated on wooden wheels with heavy side-handles this trunk exhibits great character and individuality.